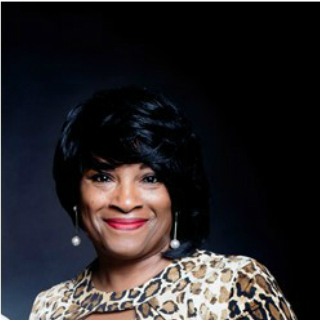 Pastor Sharon “Shay” Holmes, a native of Houston Texas, is the Co-founder and Pastor of Redeemers House of Worship (RHoW) in Belleville, IL. She serves with her husband Senior Pastor Ralph E. Holmes, Sr. to whom she has been happily married to for more than 38 years. Pastor Shay is also a devoted mother to their three 3 sons – Ralph Jr., Tyrell, and Jarius. Pastor Shay accepted her call to ministry in 1986 in Okinawa, Japan while Pastor Ralph served his country in the U.S. Air Force. Since saying “Yes” to God, she has been wholly committed to singing, teaching and preaching the Gospel of Jesus Christ. Her husband’s military career was the vehicle God used for her to go to the nations to lead others to Christ. Pastor Shay has a distinctive message delivery; her prophetic, vibrant and witty style of teaching helps to develop disciples. Pastor Shay oversees the Women’s Ministry at RHOW “Sister 2 Sister.” This ministry is intentional about pouring into Women from all walks of life — empowering them to move towards wholeness and wellness spiritually and physically. A woman short in stature, Pastor Shay is a giant in God who possess the rare ability to reach and stir audiences as she works to build the Kingdom of God. An anointed and powerful Worship Leader — she has an assignment to ensure that everyone understands their purpose in True Worship. She facilitates numerous worship workshops, trains and develops Worship Teams. She desires that All know that Worship pleases God and that we are called to be Atmosphere changers. Pastor Shay currently serves as the Overseer for the Praise and Worship Team at RHOW. She is a valued leader in the Body of Christ as well as the community. She is a graduate of the Fellows Alumni of the St. Louis Business Diversity Initiate Program — an intensive program offered to up-and coming Corporate Leaders in the St. Louis community. The fresh anointing of Pastor Shay, complimented with an insight in the revelation of God’s Word is touching the hearts of people around the world. It is very evident that God has raised Pastor Shay up to challenge the Body of Christ out of their complacency.